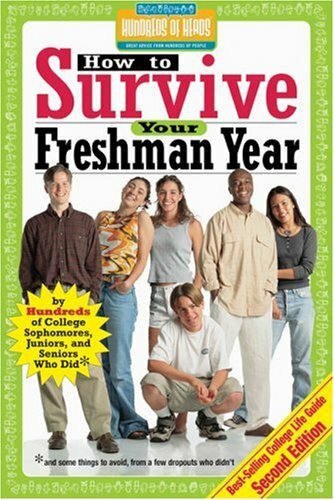 The perennial bestseller, How to Survive Your Freshman Year has become known as the college freshman's "bible.” The Third Edition offers college freshmen 30 per cent new material: more real-life advice and experiences from interviews with college students and graduates across the country, plus tips from the book’s new special editor, Frances Northcutt, an academic advisor and instructor. New entries reflect today’s world of new freshman lifestyle and experiences, including all wireless digital devices, social networking, global and political awareness, and the importance of volunteerism. This book as a whole is great and has a good amount of advice. However, some of the advice does not align with my morals and beliefs. There is a whole chapter on drinking and partying (which I almost skipped, but didn't for the sake of a fair review). I would still encourage anyone just starting out in college to read it. While this is more sophomore year, it is my first year away from home so a lot of the advice applied. A good choice to pick up!